Partially drowned out by the gadget-driven furor of Mobile World Congress 2016 were announcements this week from Verizon that the company has completed testing of what it’s calling a 5G network, in New Jersey, Texas and Oregon. 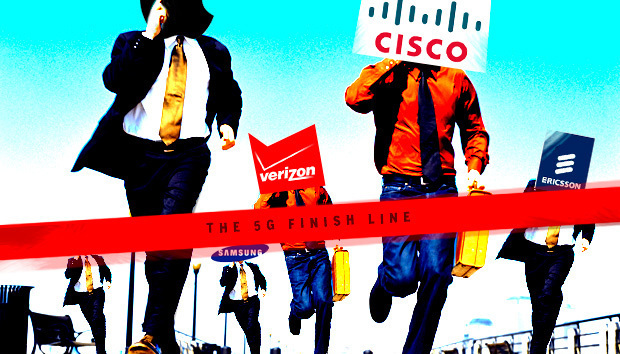 Verizon’s partners in the 5G wireless testing included everything from carrier equipment vendors to smartphone makers – Apple, Cisco, Ericsson, Intel, LG, Nokia, Samsung and Qualcomm were all participants. The company claims that it regularly achieved multi-gigabit performance at sub-millisecond latency through the use of advanced MIMO, beamforming and tracking technology, and more besides. A broad application of the network upgrades that Verizon tested would mean potentially huge speed increases, and the company is looking to perform wider-scale testing as quickly as possible. “[W]e want to quickly make some key technical decisions and move rapidly to pre-commercial form factors and testing later this year,” said Adam Koeppe, the Verizon vice president who’s in charge of the testing efforts. Verizon is understandably eager to push forward on advanced networking technology, and has already announced field tests of other tech. The company is trying out LTE-U in Raleigh, N.C. and Oklahoma City, even as work proceeds on standardized interference testing protocols. The announcement comes days after AT&T stated that it would begin performing similar field tests of 5G later this year, and T-Mobile and Sprint have both expressed various levels of interest. There’s a complicating factor in the rush to 5G, however – the standards organization that codifies carrier wireless technology, 3GPP, isn’t anywhere near finalizing a definition of what, precisely, constitutes “5G” in the first place. Absent a common standard, it’s very possible that the carriers will wind up using different technologies for next-gen wireless but calling them all “5G,” confusing the issue. It’s something that already happened in the 4G era, when Sprint opted for WiMAX technology as the other three major U.S. carriers standardized on LTE.